While Nalubega’s high school fees had been sponsored through a German nonprofit, established by a former volunteer at her children’s home, when it came time to attend the university, her sponsor could only afford 60 percent of her tuition. Nalubega tried to make college work, but without a job or financial support from her family, she had to drop out. “I was lost,” she said. Her story is not unique. Etienne Salborn, founder of German nonprofit Jangu e.V, which paid Nalubega’s school fees, realized that many of the orphaned or impoverished students they sponsored through high school couldn’t find jobs or afford university once they finished. About 90 percent of Ugandans age 15 to 24 work informal jobs. So, in 2013, Salborn brainstormed solutions with the first cohort of students who had been sponsored by Jangu e.V. They told Salborn they wanted a space to learn how to create their own jobs that would make them financially independent — and the idea for the Social Innovation Academy was born. 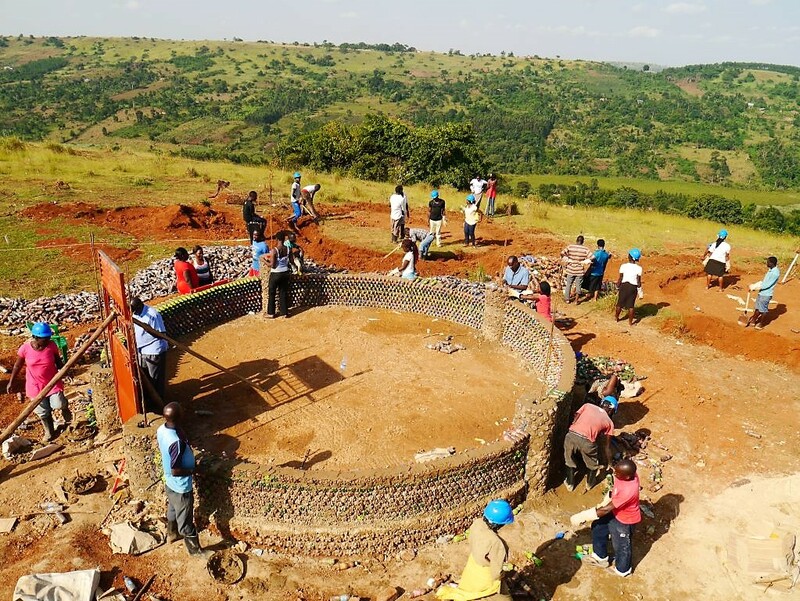 SINA, a residential academy, aims to teach marginalized Ugandan youth how to become social entrepreneurs — owners of companies that have a positive impact on the environment and society. With help from donors who didn’t want to see the students “drown in unemployment,” Salborn bought land on a hill not far from the Kankobe children’s home. From the start, the project was centered around the values of sustainability and experiential learning. The initial group of people chosen to attend the academy actually helped construct the campus itself, using local materials, including “upcycled” plastic bottles, and local building techniques. Nalubega had already been accepted to Makerere University when she heard about SINA, which had been established a year earlier. She had always imagined going to college so continued with her plan, but after dropping out, she formally applied to become a scholar at the academy. Fifteen students are selected at a time for a three-month training program focussed on “unlearning and overcoming limiting beliefs,” Salborn said. Students are given responsibilities throughout the campus (e.g. being in charge of water supply) that build their self-confidence and independence and are encouraged to brainstorm and iterate ideas for social enterprises. “The model of SINA gives you hope, guides you step by step,” Nalubega said. While some scholars, like Nalubega, are former orphanage residents whose educations were paid for through Jangu e.V, the academy is open to disadvantaged youth from throughout Uganda, including former child soldiers and street children. Refugees from nearby countries like the Democratic Republic of the Congo, South Sudan and Burundi have also been accepted into SINA’s program. At the end of the three-month term, scholars who show the most potential are invited back to further develop their ideas. The academy then functions similarly to a startup incubator, where scholars continuously refine their business ideas with mentors and facilitators. Donald Byamugisha, a consultant and business owner in Kampala who recently judged a pitching contest at the academy, said he was “blown away,” by the scholars’ ideas. “I was extremely impressed at the execution,” he said. With the help of a personal development coach at SINA, Nalubega decided to focus on eliminating malaria, the most deadly infectious disease in Uganda, accounting for between 70,000 to 100,000 children’s deaths each year, according to a 2015 study. The endeavor capitalized on her passion for chemistry and was deeply personal in a different way–as a child she contracted malaria several times. SINA helped connect her with chemists at Makerere University to develop a formula, then she got the product fully certified and developed a business model. Today, with her business partner and fellow SINA-scholar, Kaganda Shafik, Nalubega is at the helm of a thriving social enterprise. 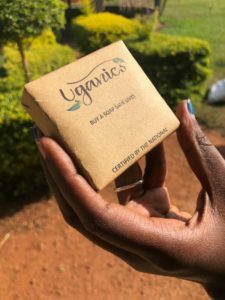 They employ more than 20 women in rural areas to harvest herbs to make their soap, called Uganics, which repels mosquitoes for more than six hours. Nalubega sells it at a markup to Uganda’s visitors at high-end hotels so locals can receive the product at a subsidized price. And she has partnered with 22 Ugandan hospitals to raise awareness about malaria. Nalubega and Shafik are still based at SINA’s campus, where they run Uganics and mentor other scholars. They plan on moving the business into its own storefront later this year. SINA has helped its scholars create more than 30 successful social enterprises like Uganics. 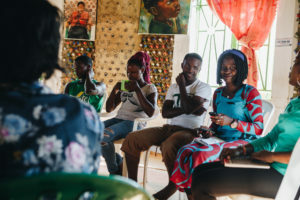 They include an anonymous, free mobile phone app for emergency sexual health advice aimed at young East Africans, and a business that uses plastic bags and egg shells to create cheap, sustainable flooring. Salborn estimates these businesses have gone on to create more than 100 jobs in Uganda. The academy and its alumni have also received international funding and awards. And the idea is now spreading.